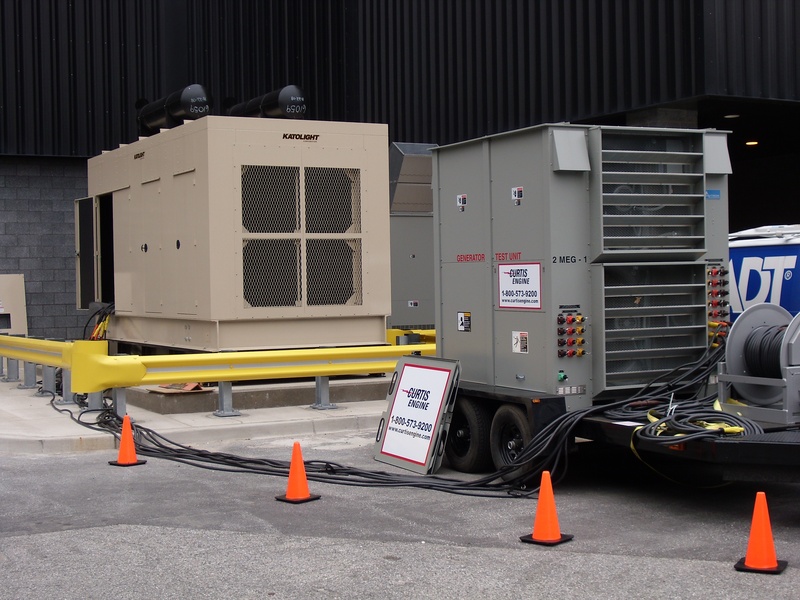 CURTIS ENGINE PROVIDES TESTING SERVICES TO ENSURE THAT YOUR EMERGENCY BACKUP POWER SYSTEM WILL PERFORM AS DESIGNED IN AN OUTAGE. In general, we follow the manufacturer’s recommendations for testing, but we also consider NETA, NFPA, and NEMA testing guidelines. With each testing program, test results are provided, along with any recommendations for repairs, and added to the service history for your equipment. Avoid fines and stay in compliance with NFPA and Joint Commission Life Safety Emergency Power Supply System Standards. We can develop a regular testing program using our proven test procedures, performed by a qualified technician, to give you confidence in the whole system – from the fuel tank through the transfer switch – and keep your facility in compliance with NFPA and JCAHO regulations. We will train your staff to perform weekly inspections and the required documentation to stay in compliance with Joint Commission reporting requirements. Feel confident that your backup power system will perform as expected in an emergency. Testing the system as a whole, in a controlled environment, for an extended period of time will give you the confidence that your generator will perform as designed when needed. Generator load bank testing ensures that the generator will reliably operate at its maximum capacity for an extended period of time. Engine lube oil, engine coolant, and diesel fuel analysis and reporting to help detect problems early and monitor component wear rates.